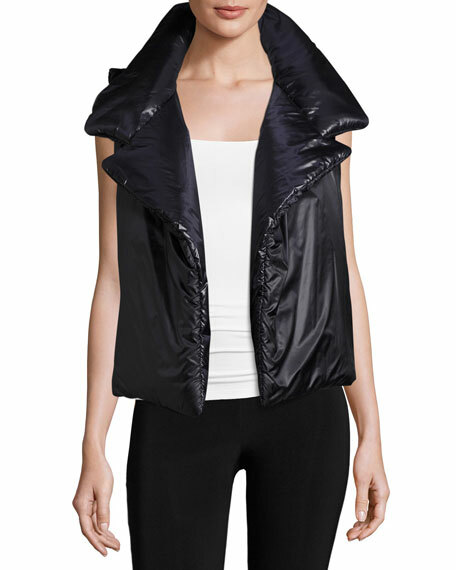 Norma Kamali signature "Sleeping Bag" vest in matte tech fabric with shiny reverse. 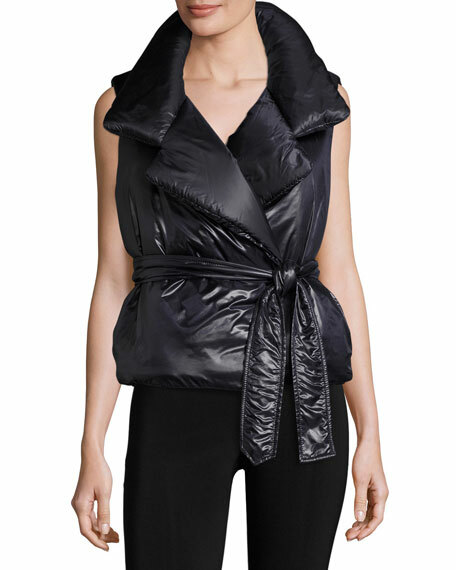 Oversized notched collar; open front. 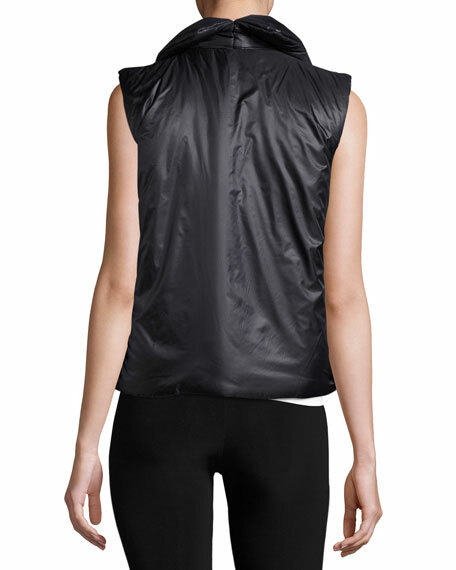 For in-store inquiries, use sku #1931142.